08:30 Archie^ Morning Koha people! 12:12 Archie^ Right, anyone here did a koha IP based installation using packages? 13:10 huginn oleonard: Athens, OH :: Overcast :: 53F/12C | Wednesday: Rain likely, heavy at times in the morning. High 58F. Winds SSW at 5 to 10 mph. Chance of rain 100%. Rainfall near an inch. Wednesday Night: Considerable cloudiness. Occasional rain showers after midnight. Low 48F. Winds light and variable. Chance of rain 60%. 13:20 fridolin1 ashimema: ^ ? 13:25 tcohen maybe it is something in our repo's end? 13:28 ashimema does he have 'Only mirror protected branches' checked tcohen? 13:32 cait1 keeps the numbering on search results... etc. 13:39 magnuse cait1: how do you "ocnfiugre if the page can still be accessed or not"? 13:43 magnuse cait1: hm, i don't get it - i see a choice between 404 and a text explaining that "this page is missing"? 13:48 magnuse cait1: thanks for checking! 13:57 ashimema cait1 are you up to speed on how EasyAnalytics works? 14:08 ashimema I'm really not sure how they interact still..
14:26 huginn ashimema: jcamins was last seen in #koha 36 weeks, 1 day, 15 hours, 35 minutes, and 40 seconds ago: <jcamins> cait: probably 561. 14:26 oleonard He is infrequently-summoned but often responds. I guess today is not the day. 14:47 cait1 ... creme brule... in a bag? 14:48 ashimema creme brule that is..
14:48 ashimema eggs just go in the water as is. 14:49 ashimema are you vegetarian fridolin? 14:57 oleonard Someone tie andreashm down please! 15:20 Archie^ iļl try again since i've been google page20 now ;D anyone did a succesfull installation of Koha IP based? 15:22 Archie^ if i'm going ot OPAC page all i get is Apaches "it works"
15:25 Archie^ oleonard: i've read somewhere that this is not the best way as it actually just "hides" the issue? 15:36 Archie^ oleonard: how do you enable the default website of apache? 16:23 cait i am finding wrong records, i am scared. 16:28 caroline it is weird... is it looking elsewhere, like ISBN or itemnumber? 16:33 cait someon an idea how this could happen? 16:39 cait so biblionumber and $c actually match,... but the search does biblioitemnumber? 16:54 koha-jenkins Yippee, build fixed! 16:59 koha-jenkins Yippee, build fixed! 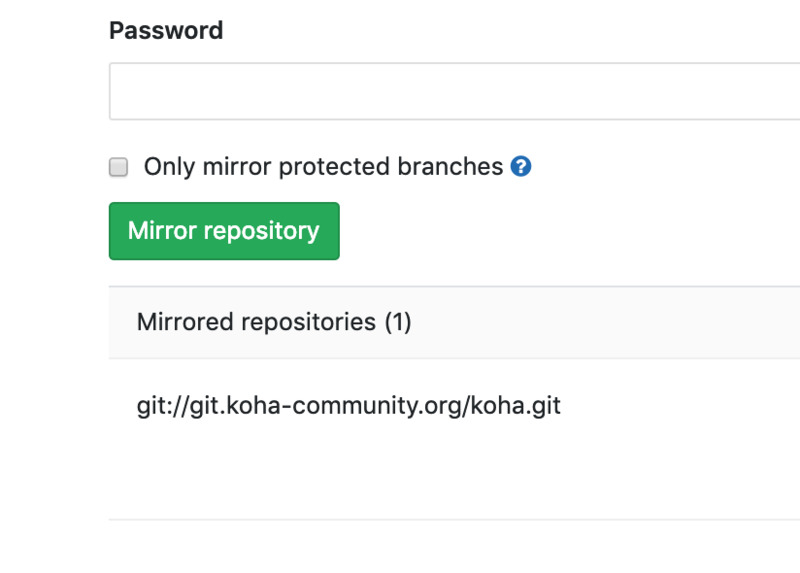 17:16 koha-jenkins Yippee, build fixed! 21:28 caroline in germany, do you use 24 hours time? like 16:30?